Samsung recently introduced a simplified version of the Samsung S3650 Corby, named as Samsung Corby POP (C3510).Samsung Corby POP is cheapest touchscreen mobile phone ever introduced by Samsung.The new Samsung Corby POP comes with a price tag of Rs. 7,000 (about $150). Samsung Corby POP (C3510) is equipped with 2.8-inch touchscreen TFT display with a resolution of 320×240 pixels and features 1.3 megapixel camera, music player ( formats MP3, AMR, AAC, AAC+, e-AAC+, and WMA)with support DNSe audio technology, FM tuner with RDS, Bluetooth version 2.1, 30MB of internal memory, and slot for microSD card (up to 8GB expandable memory). The new Samsung Corby POP (C3510) supports networks that includes GSM/GPRS/EDGE 850/900/1800/1900 MHz.The new low cost touchscreen phone from Samsung houses a 960 mAh battery that is capable of providing up to 10 hours in talk mode. Samsung Corby POP (C3510) weighs 92g and has Dimensions of 103.9×55.4×12.9 mm. 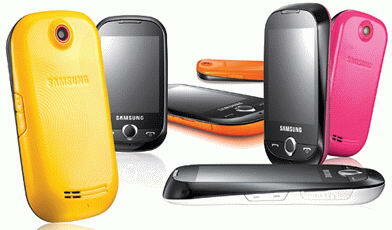 Samsung Corby POP (C3510) will soon be available in India and other markets.Samsung Corby POP (C3510) is priced at Rs. 7,000 (about $150). Tags:-cheapest touchscreen mobile phone price, cheapest touchscreen mobile phone price details, cheapest touchscreen mobile phone price in india, cheapest touchscreen mobile phone by Samsung, Samsung cheapest touchscreen mobile phone price, Samsung cheapest touchscreen mobile phone features, Samsung cheapest touchscreen mobile phone specifications, Samsung cheapest touchscreen mobile phone details,Samsung Corby POP (C3510) phone price, Samsung Corby POP (C3510) phone price in india, Samsung Corby POP (C3510) phone india launch, Samsung Corby POP (C3510) phone launch in india, Samsung Corby POP (C3510) phone india availability. 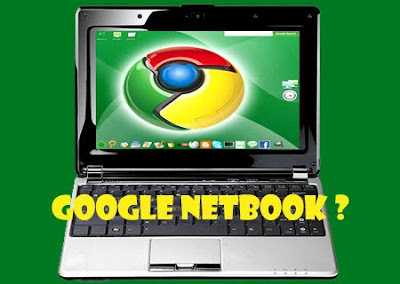 Recent rumors from technology world reveals that Google's Chrome OS-based netbook specs leak out and is available on the net now.base on the specification revealed the notebook that is going to be launched will be a powerful one with lot of features and specifications.The new Google notebook is expected to launch in the holiday season of 2010. Google Chrome OS-based netbook is expected to come up with a 10.1-inch TFT HD-ready multi-touch display and is powered by an ARM CPU reported to be of higher performance than Intel Atom processor and consumes only less power.The Google notebook will boast of a chipset from Nvidia's Tegra line (likely the second generation). The new Chrome OS-based notebook from Google will be housed with 64GB SSD and not HDD for storage and comes housed with 2GB RAM, WiFi, integrated 3G connectivity, Bluetooth, Ethernet port, USB ports, webcam, 3.5mm audio jack, multi-card reader and lot more.The netbook also features applications like Google Map, Gmail, Google Docs, Google Calender and Google Search by Voice. Tags:-Google Chrome OS-based netbook, Google Chrome OS-based netbook availability, Google Chrome OS-based netbook features, Google Chrome OS-based netbook details, Google Chrome OS-based netbook specs, Google Chrome OS-based netbook technical specs, Google Chrome OS-based netbook specifications, Google Chrome OS-based netbook price details, Google Chrome OS-based netbook price, Google Chrome OS-based netbook full specification, Google Chrome OS-based netbook launch details. Buffalo Japan recently released thin 2.5-inch SSD designed especially for notebooks, named Buffalo SHD-NSUH.The new Buffalo SHD-NSUH SSD supports Operating Systems includes Windows XP/Vista/7, and Mac OS X 10.5 or later OS.The new thin SSD from Buffalo uses either SATA II and USB connectivity. New Buffalo SHD-NSUH Series solid state drive has a thickness of just 2.5-inch and comes with a 64MB of DRAM cache.The SSD is made in MLC NAND chips.The all new Buffalo SHD-NSUH SSD available in ranges of 32GB (SHD-NSUH32G), 64GB (SHD-NSUH64G), 128GB (SHD-NSUH128G), and 256GB (SHD-NSUH256G).The Buffalo weighs about 90g and has a dimension of 70×100x9.5 mm (WxDxH). Tags:-Buffalo, Buffalo hardwares, new Buffalo thin SSD drive, new Buffalo thin SSD drive features, new Buffalo thin SSD drive details, new Buffalo thin SSD drive specs, new Buffalo thin SSD drive specifications, new Buffalo thin SSD drive price details, new Buffalo thin SSD drive price, new Buffalo thin SSD drive availability, new Buffalo thin SSD drive capacities, new Buffalo thin SSD drive available ranges, new Buffalo thin SSD drive images, Buffalo SHD-NSUH SSD series , Buffalo SHD-NSUH SSD series price details, Buffalo SHD-NSUH SSD series cache details. Dell recently introduced four new compact desktop PC comes under OptiPlex series, named Dell OptiPlex 780 USFF (Ultra Small Form Factor), Dell OptiPlex 380 DT (DeskTop), Dell OptiPlex 380 MT (Mini Tower), and Dell OptiPlex 380 SFF (Small Form Factor).The all four desktop PC's are mainly designed for business purposes. The Dell OptiPlex 780 USFF is considered as the the world’s smallest fully functional desktop with built-in power supply technology and Intel vPro technology.Dell OptiPlex 780 USFF provides the user to select the processor from a series of Celeron, Pentium or Core 2 Duo processor. Other features includes integrated GMA 4500 graphics,up to 4GB of RAM, and the user couil select either a 160GB/250GB/320 GB hard drive or a Solid State Drive with a capacity of 128GB.Dell OptiPlex 780 USFF is preloaded with Windows 7, Vista, Ubuntu or FreeDOS operating system.The new Dell OptiPlex 780 USFF has a dimension of 23.9×6.5×23.6 cm and is available with a price tag of $624. Desktops comes under Dell OptiPlex 380 includes Dell OptiPlex 380 DT, Dell OptiPlex 380 MT, Dell OptiPlex 380 SFF.Dell OptiPlex 380 is also available in the processors mentioned above and additionally there is an option to select Core 2 Quad processors.The Dell OptiPlex 380 features GMA X4500 graphics card, Radeon HD 3450 or GeForce 9300 GE,up to 4GB of RAM,500GB HDD (7200rpm). Dell OptiPlex 380 DT :$329. 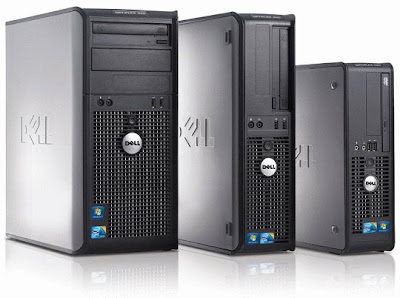 Dell OptiPlex 380 MT :$339. Dell OptiPlex 380 SFF :$349. Tags:-business desktops from Dell, business desktops price from dell, business desktops availability from dell, business desktops features from dell, dell business desktops, Dell business desktops price details,Dell OptiPlex series business desktops, DEll OptiPlex series business desktops features, Dell OptiPlex series business desktops configuration, Dell OptiPlex series business desktops specifications, DEll OptiPlex series business desktops price details. 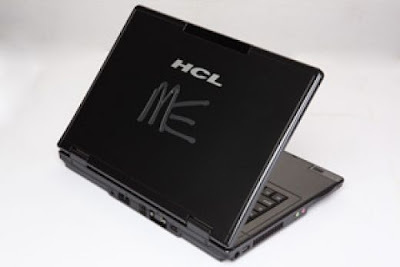 HCL recently introduced new ME range of Laptops in Indian market, named HCL Laptop Series 45.The main features of ME range laptops includes superior performance, flexible connectivity and high mobility.The ME range laptops are light weight and comes with a lot of features which make its suitable for both professional and personal uses. Intel Pentium Dual Core Processor, IntelCore 2 Duo Processor.The new HCL ME 45 series laptop also housed with Intel GM 45 chipset,Maximum Memory of 4GB RAM with Two DDR2 SO-DIMM Slot,upto 500GB SATA HDD,On Board Video Intel® Graphic Media Accelerator 4500 MHD, Inbuilt 2 Stereo Speaker System, Ethernet, WiFi, Inbuilt Bluetooth, Integrated 1.3 MP Webcam, 4 USB 2.0 Ports,5 in 1 Card Reader, audio out, PCI Express slot and VGA Port. The all new HCL ME 45 series laptop runs on Windows 7 Professional OS and has features includes Clear and bright display with HCL view perfect technology,Set File Eraser, Application Lock, Device Lock, File Splitter, Infocrypt Software, Fast Start, EC2 Technology, and also includes a Multi touch gesture touchpad that helps you to rotate, expand, shrink the picture through the movement of fingers on touchpad. HCL Laptop Series 45 houses a 6-cell Li-on Battery provided a power back-up of about 2.5.The new laptop from HCL weighs 2.7Kgs including battery.The new HCL ME 45 laptop is available in India at price tag start at Rs.39900. Tags:-HCL ME range Laptops, HCL ME range Laptops features, HCL ME range Laptops price, HCL ME range Laptops price in india, HCL ME range Laptops availability, HCL ME range Laptops features, HCL ME range Laptops detailed specs, HCL ME range Laptops details.HCL ME 45 series Laptops, HCL ME 45 series Laptops features, HCL ME 45 series Laptops price, HCL ME range Laptops price in india, HCL ME 45 series Laptops availability, HCL ME 45 series Laptops features, HCL ME 45 series Laptops detailed specs, HCL ME 45 series Laptops details,New HCL Laptops in india, HCL new touch laptops in india,HCL new laptops india price. Fujitsu recently introduced a low priced 15-inch notebook, named Fujitsu Esprimo Mobile V6535 Notebook.The Esprimo Mobile V6535 Notebook are mend for those customer with a low budget for a notebook.The Fujitsu Esprimo Mobile V6535 Notebook comes with a pretty rich configuration which is suitable for students, small businesses etc.The notebook is priced at €299. 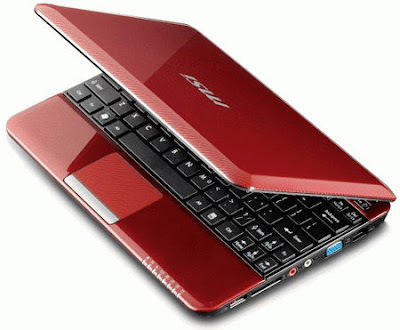 The all new Fujitsu Esprimo Mobile V6535 Notebook is equipped with a 15.4-inch matte TFT display with a resolution of 1280×800 pixels (WXGA) and is powered with a 1.8GHz Intel Celeron T3000 dual-core processor.The new low price notebook from Fujitsu is also housed with 2GB of DDR2 SDRAM, 160GB hard drive, gigabit Ethernet, DVD drive, Wi-Fi 802.11b/g, four USB port, ExpressCard 54, and Firewire. 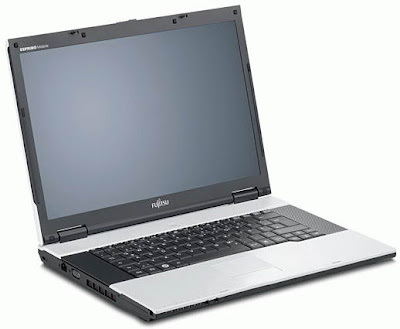 Fujitsu Esprimo Mobile V6535 laptop comes with a 6-cell battery.The laptop weighs 2.75kg and has dimensions 363×259x37 mm.The new low priced Fujitsu Esprimo Mobile V6535 Notebook comes with a price tag of €299. Tags:-Fujitsu netbooks, Fujitsu notebooks, Fujitsu laptops, Fujitsu low priced notebook , Fujitsu low priced notebook price, Fujitsu low priced notebook features, Fujitsu low priced notebook configuration, Fujitsu low priced notebook availability, Fujitsu low priced notebook specifications, Fujitsu low priced notebook details,Fujitsu Low Priced Esprimo Mobile V6535 Notebook price details, Fujitsu Low Priced Esprimo Mobile V6535 Notebook availability, Fujitsu Low Priced Esprimo Mobile V6535 Notebook features, Fujitsu Low Priced Esprimo Mobile V6535 Notebook images, Fujitsu Low Priced Esprimo Mobile V6535 Notebook specifications, low priced 15-inch notebook from fujitsu. Samsung recently introduced its latest compact digital camera features Wi-Fi and touchscreen facility, named Samsung CL80.The new Samsung CL80 camera comes with a a wide-angle lens with a 7x optical zoom (focal length 31-217 mm in 35mm equivalent) and CCD with 14MP.The camera includes a 5x digital zoom also. 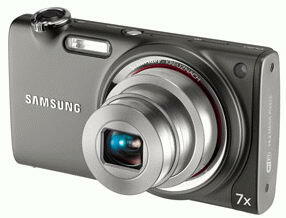 The all new Samsung CL80 camera comes equipped with 3.7-inch AMOLED display with touchscreen Interface . Samsung CL80 14MP camera isalso housed with integrated Wi-Fi which enables you to upload directly from the camera to social networks such as Facebook, Flickr and orkut or can be sent to your loved ones via email. New Samsung CL80 compact camera features Advanced Dual Image Stabilization feature ie the camera is provided with optical and digital image stabilization system.With the new 14MP camera from Samsung it is possible to record video in 720p format with a resolution of 1280×720 pixels at 30 frames per second. 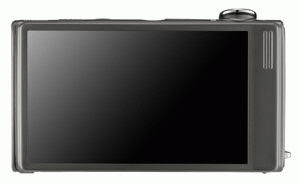 Other features of the new Samsung CL80 14MP camera includes ISO sensitivity of 6400,shutter speed range from 8 to 1/2000 seconds,with Super Macro mode the minimum distance to the subject can be made to 1 cm.Samsung CL80 14MP camera also housesvoice recorder, a slot for microSD, HDMI port and USB 2.0. 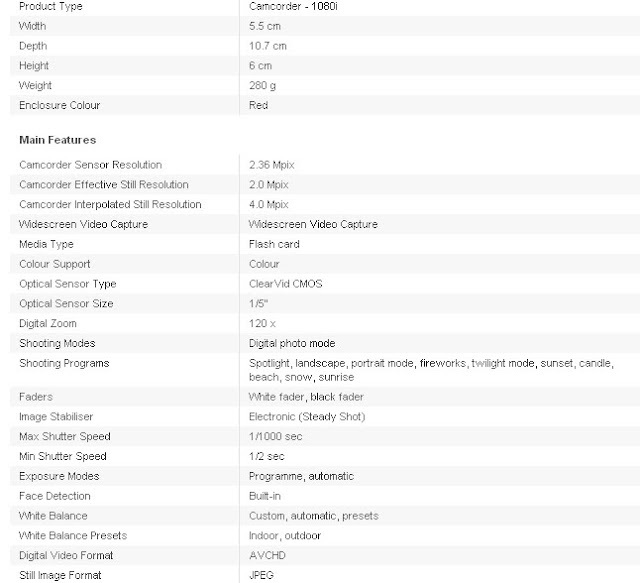 Dimensions of Samsung CL80 camera are 4.03×2.3×0.74 inch.The price and availability details of the new Samsung CL80 14MP camera are yet to be revealed.. Tags:-Samsung CL80 camera features, Samsung CL80 camera specification, Samsung CL80 camera detalils, Samsung new 14MP camera, Samsung new 14MP camera features, Samsung new 14MP camera availability, Samsung new 14MP camera details, Samsung new 14MP camera price, Samsung new 14MP camera launch, Samsung new 14MP camera specifications, Samsung new camera with Wi-Fi and touchscreen, Samsung new camera with Wi-Fi and touchscreen features, Samsung new camera with Wi-Fi and touchscreen specifications, Samsung new camera with Wi-Fi and touchscreen details, Samsung new camera with Wi-Fi and touchscreen price, Samsung new camera with Wi-Fi and touchscreen images, Samsung new camera with Wi-Fi and touchscreen availability. MSI recently added four new netbooks to their Wind netbook series named MSI Wind U130, MSI Wind U135, MSI Wind U140 and MSI Wind U160 netbooks.The all four nebooks are based on the Intel Pine Trail. MSI Wind U130, U135, U140 Netbooks comes equipped with 10.1-inch display and is powered with Intel Atom N450 processor with a clock speed of 1.66 GHz and NM10 Express chipset.MSI Wind U160 also comes housed with Intel Atom N450 processor with a clock speed of 1.66 GHz and NM10 Express chipset but equipped with a bigger 11.6-inch screen. The all new four netbooks ie MSI Wind U130, U135, U140 and U160 includes 1GB of RAM, a 160GB or 250GB hard drive (depending on configuration or may be a SSD) and runs on Windows 7 Starter Edition OS.The new MSI Wind U130, U135, U140 and U160 netbooks is expected to be launched at the Consumer Electronics Show, CES 2010. Tags:-MSI Wind U130 netbooks,MSI Wind U135 netbooks,MSI Wind U140 netbooks, MSI Wind U160 netbook,MSI Wind U130 netbook Features+ availability+ specifications,MSI Wind U135 netbook Features+ availability+ specifications, MSI Wind U140 netbook Features+ availability+ specifications , MSI Wind U160 netbook Features+ availability+ specifications. HCL recently introduced new ME range of Laptops in Indian market, named the HCL ME 06 and HCL Laptop Series 45.The main features of ME range laptops includes superior performance, flexible connectivity and high mobility.The ME range laptops are light weight and comes with a lot of features which make its suitable for both professional and personal uses. Erase for ME :Erase for ME removes your important and confidential files permanently with Erase for ME secure data removal tool Files deleted by this software cannot be recovered. Secure ME: Secure ME allows you to lock any of the installed applications like internet browser, MS Office, etc., on your PC and prevents it’s unauthorised use. Lock ME: Lock ME is the utility used to lock/unlock the following ports USB Ports – Storage devices HDD logical drives / ODD. Encrypt ME: If users want to save their data from theft, and then just encrypt all your data with Encrypt ME to maintain the confidentiality. Split ME: Split ME can split large file to smaller size files. Small size files can be sent through mail & can be compiled back to original size file. The utility also ensures secure & safe delivery of data without the risk of leakage while transmission. HCL ME range laptops also includes EC2 Technology which help in recovering lost data and files within a minute.The laptop also includes a built in key for chat with service experts 24 x 7 x 365. Tags:-HCL ME range Laptops, HCL ME range Laptops features, HCL ME range Laptops price, HCL ME range Laptops price in india, HCL ME range Laptops availability, HCL ME range Laptops features, HCL ME range Laptops details, HCL ME range Laptops details,HCL ME 06 and HCL Laptop Series 45, HCL new laptops in india. As New Intel Core i3 processor is yet to be formally announced several Some online retailers started taking orders for new notebooks that are based on Intel Core i3 processor.ECost US online store recently published sales of the the new laptop from HP powered by Intel Core i3 processor.The new notebook is named as HP Pavilion dv6-2157sb Notebook.The official presentation of Intel Core i3 chips will be held at the International Consumer Electronics Show (CES 2010), which will be held in Las Vegas (Nevada, USA) from 7 to 10 January 2010. The new HP Pavilion dv6-2157sb Notebook is equipped with a 15.6-inch with LED backlight and comes with a 2.13GHz Intel Core i3-330m Processor.The notebook also includes an integrated graphics core and it is produced using 32nm technology. 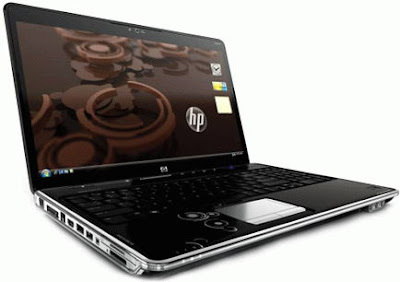 The all new HP Pavilion dv6-2157sb Intel Core i3 Notebook also comes housed with 4GB of RAM, up to 320GB hard drive,DVD writer, 5-in-1 card reader, Wi-Fi 802.11b/g/n, and Bluetooth, as well as 6-cell battery.The new Pavilion dv6-2157sb Intel Core i3 Notebook comes pre-installed with Windows 7 Professional and is available for order with a price tag of $920. Tags:-International Consumer Electronics Show,new HP Pavilion Notebook,HP Pavilion Intel Core i3 Notebook, HP Pavilion Intel Core i3 Notebook Features, HP Pavilion Intel Core i3 Notebook specs, HP Pavilion Intel Core i3 Notebook specifications, HP Pavilion Intel Core i3 Notebook details, HP Pavilion Intel Core i3 Notebook availability, HP Pavilion Intel Core i3 Notebook price, HP Pavilion Intel Core i3 Notebook price details, HP Pavilion Intel Core i3 Notebook launch, HP Pavilion Intel Core i3 Notebook price tag, HP Pavilion Intel Core i3 Notebook availablity details, HP Pavilion Intel Core i3 Notebook online pre order, HP Pavilion Intel Core i3 Notebook images,Intel Core i3 processor launch. 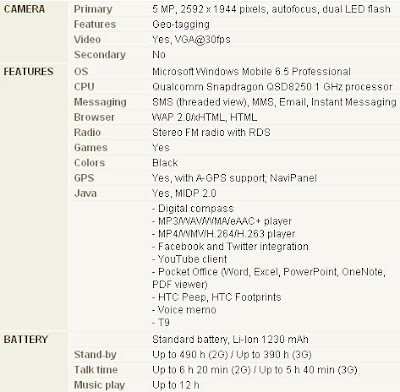 ASUS Eee Pad tablet to have nVidia Tegra2 ? As Official announcement about the new ASUS ASUS Eee Pad tablet are yet to be made, the internet is already filled with the rumors about its specification.The recent roumer about the ASUS Eee Pad tablet claims that the tablet is built based on nVidia Tegra second generation platform, which will present at CES 2010 on January 7, 2010. 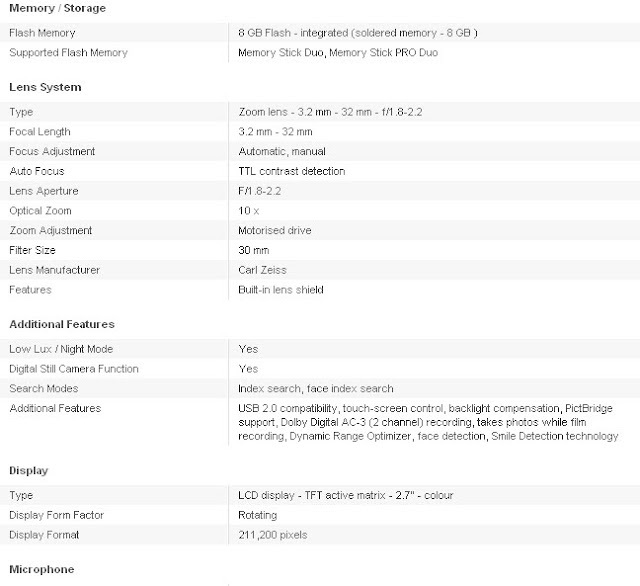 The Known specification of the new ASUS Eee Pad tablet reveals that the tablet is equipped with 4-inch or 7-inch touchscreen display which supports multitouch technology.The nVidia Tegra2 is expected to housed with dual-core ARM processor and system components will be manufactured by the 40nm process technology.The tablet features easily play back video in Full HD quality, improve multitasking and support modern 3D graphics.The new ASUS Eee Pad tablet is also expected to runs on Android OS or LINUX Operating system. 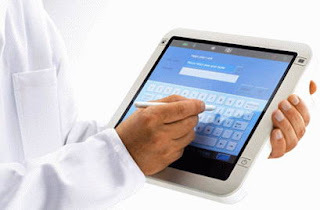 Tags:-ASUS Eee Pad tablet, ASUS Eee Pad tablet details, ASUS Eee Pad tablet rumors, ASUS Eee Pad tablet specifications, ASUS Eee Pad tablet images, ASUS Eee Pad tablet features, ASUS Eee Pad tablet introduction, nVidia Tegra2, nVidia Tegra2 with ASUS Eee Pad tablet. Japanese company, Fujitsu recently officially introduced their latest netbook,named Fujitsu LifeBook MH380.The LifeBook MH380 netbook is based on Intel's upcoming Intel Pine Trail.The netbook comes in stylish cool design and lot of features for young professionals. The all new Fujitsu LifeBook MH380 netbook comes equipped with equipped with a 10.1-inch display with a resolution of 1366×768 resolution and LED backlit display and is powered with a 1.66GHz Intel Atom N450 processor, which is equipped with an integrated memory controller and integrated graphics core.LifeBook MH380 netbook also includes 1.3 megapixel webcam, 2GB RAM, 250GB SATA HDD (5400rpm), slot for SD/SDHC memory card, Bluetooth version 2.1 + EDR, Wi-Fi 802.11b/g/n and 10/100 Ethernet. 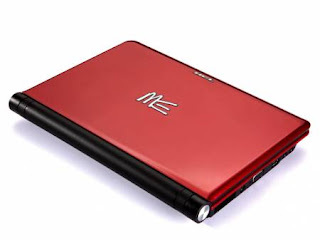 Fujitsu LifeBook MH380 netbook also includes two touchpad: the first, it is usual form with multitouch supports, the second is a small and round which is designed for scrolling in documents, web browser, etc. Tags:-Fujitsu LifeBook Features,Fujitsu LifeBook details, Fujitsu LifeBook price details, Fujitsu LifeBook availability, Fujitsu LifeBook colors available, Fujitsu LifeBook + atom processor, Fujitsu LifeBook+ Intel pine trail,Fujitsu LifeBook+ Intel pine trail features, Fujitsu LifeBook+ Intel pine trail specs, Fujitsu LifeBook+ Intel pine trail specifications, Fujitsu LifeBook+ Intel pine trail details, Fujitsu LifeBook MH380 netbook, Fujitsu LifeBook MH380 netbook features+ specifications + availability, Fujitsu LifeBook MH380 netbook prrice. Philips recently introduced new mobile phone based on WinMo 6.5,named Philips D908.The new Philips D908 comes with Windows Mobile 6.5 Professional and is designed to work in CDMA and GSM band.The new handset from Philips is based on the monoblock form factor and comes with lot of features. The Philips D908 phone comes equipped with 3.2-inch display with resolution 480×800 pixels, 262K colors and has features such as a 1GB RAM, 2GB ROM,5 megapixel camera,MicroSD slot for expanding memory.The new Philips D908 handset battery provides a talk time of up to 360 minutes and a standby time of about 240 hours.The dimension of the new Philips D908 WinMo 6.5 phone is 108×56x14.5 mm. Tags:-Philips D908 WinMo 6.5 phone, Philips D908 WinMo 6.5 phone features, Philips D908 WinMo 6.5 phone price, Philips D908 WinMo 6.5 phone launch details, Philips D908 WinMo 6.5 phone speciifcations, Philips D908 WinMo 6.5 phone details, Philips D908 WinMo 6.5 phone specs, Philips D908 WinMo 6.5 phone availability, Philips D908 WinMo 6.5 phone, introduction details, Philips D908 WinMo 6.5 phone images. 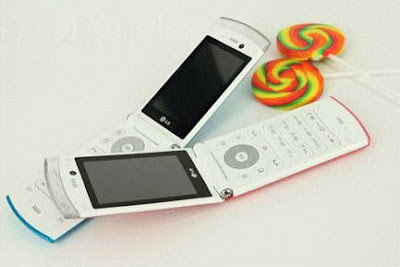 LG Electronics recently introduced a new handset specially designed for youth, named LG Lollipop GD580.The new LG Lollipop GD580 youth phone comes in a variety of colors and stylish design and excellent features.The new handset targeting the younger-generation segment made in clamshell form factor. LG Lollipop GD580 youth phone is equipped with a 2.8-inch display with a resolution of 240×400 pixels.The mobile phone features 3 megapixel camera, Bluetooth 2.0, FM tuner, and USB 2.0 port.The handset has an internal memory of 18MB and can be expandable with a microSD card.LG Lollipop GD580 supports networks with GSM 900/1800/1900 MHz as well as 3G mobile networks of UMTS. The all new LG Lollipop GD580 youth phone weighs about 90g and has diamensions 108×52x13.4 mm.LG Lollipop GD580 battery provides up to 210 minutes talk time and 250 hours in standby.The new youth phone from LG is already available in Taiwan market and soon be expected in sales on other international markets.LG Lollipop GD580 youth phone comes with a price tag of $300. Tags:-LG Lollipop GD580 youth phone, LG Lollipop GD580 youth phone features, LG Lollipop GD580 youth phone specifications, LG Lollipop GD580 youth phone availability, LG Lollipop GD580 youth phone price, LG Lollipop GD580 youth phone price details, LG Lollipop GD580 youth phone launch details, LG Lollipop GD580 youth phone details, LG Lollipop GD580 youth phone camera,new LG youth phone price, LG Lollipop youth phone price, youth phone from LG price details. 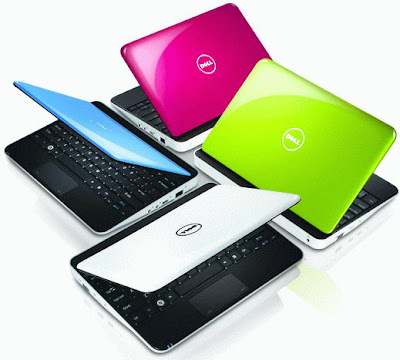 Dell is on its way to made available an updated version of Inspiron Mini 10 netbook to built with Intel new Pine Trail.The notebook comes in a variety of colors and lot of features.The notebook come to sales by january 2010. The new New Dell Inspiron Mini 10 netbook comes equipped with a 10.1-inch display with a resolution of 1024×600 or 1366×768 pixels and is powered by 1.66GHz Intel Atom N450 processor, manufactured on 45nm technology. The new Inspiron Mini 10 netbook also includes integrated memory controller and integrated graphics core.The note book also features Hyper-Threading Technology processor which can simultaneously process two threads of instructions. 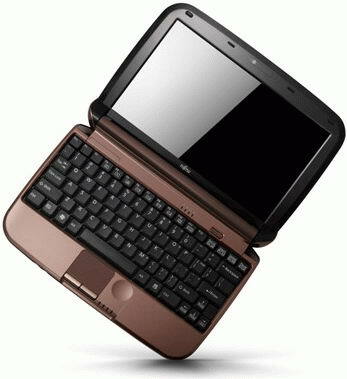 Dell Inspiron Mini 10 netbook based on Intel Pine Trail comes included with 1GB of RAM, a 160 GB or 250GB hard drive, integrated Intel GMA 3150 GPU, audio support for surround sound, TV tuner with HDTV support, and GPS receiver. Broadcom Crystal HD graphics accelerator is optionally available. Dell Inspiron Mini 10 netbook housed with a 6-cell battery capable of providing a battery life of about 9.5 hours.The new Dell Inspiron Mini 10 laptop weighs 1.4kg and has dimensions 10.5×7.8×1.3 inch.The notebook comes pre-loaded with Windows 7 Starter or Windows XP Home. 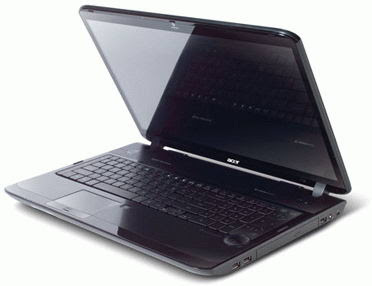 Battery of Dell Inspiron Mini 10 netbook is a 6-cell battery with allows 9.5 hours of battery life. Dell Inspiron Mini 10 laptop has weighs about 1.4kg and dimensions of 10.5×7.8×1.3 inch.Dell Inspiron Mini 10 notebook will be available with a price tag of $299. Tags:-New Dell Inspiron Mini 10 netbook +Intel Pine Trail features, New Dell Inspiron Mini 10 netbook +Intel Pine Trail availability, New Dell Inspiron Mini 10 netbook +Intel Pine Trail specifications, New Dell Inspiron Mini 10 netbook +Intel Pine Trail launch details, New Dell Inspiron Mini 10 netbook +Intel Pine Trail price, New Dell Inspiron Mini 10 netbook +Intel Pine Trail price details, New Dell Inspiron Mini 10 netbook +Intel Pine Trail launch date, New Dell Inspiron Mini 10 netbook +Intel Pine Trail images. LG launches recently introduced a new cheap set named LG GS200. 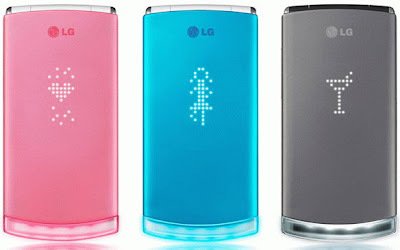 The new phone targeted music lovers and comes with 'rich and loud' speakers and lot of features.The new LG GS200 comes in attractive black and red colors. The new LG GS200 equipped with 2 inch LCD screen with 176×220 pixel resolution and comes with FM radio, a music player and microSD card enabled expandable memory and a 1.3 mega pixel camera.LG GS200 was already available in Russian market with a price tag of 3,990 rubles.The price tag of the new The new LG GS200 in India was about 6000Rs. 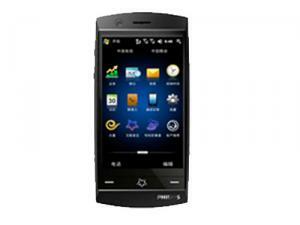 It is a 2G (GSM 900 / 1800 / 1900) enabled phone. GS200 weighs 85g with 106 x 48 x 13.8 mm dimensions. It displays 256K colors with 176 x 220 pixels, and 2.0 inches TFT. It is outfitted with 1.3 MP, 1280 x 1024 pixels, QCIF@15fps video camera. The device sounds with 3.5 mm audio jack, stereo speakers, and vibrating MP3 ringtones. 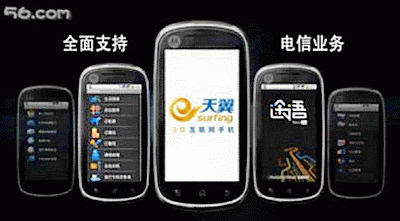 It has a memory to incorporate 1000 entries, Photocall, 50 dialed, 50 received, and 50 missed calls. The equipment has microSD (TransFlash) up to 8GB memory card slot. 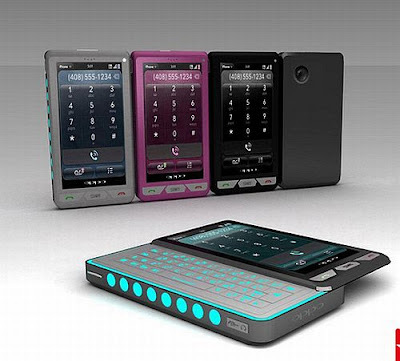 It connects through GPRS (Class 10 (4+1/3+2 slots), 32 – 48 kbps), Bluetooth (v2.1 with A2DP), and USB (v2.0). 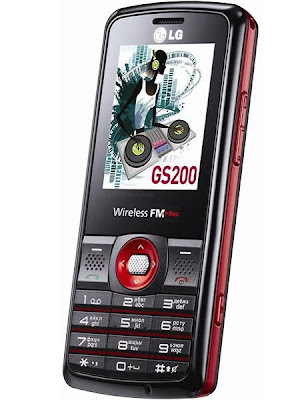 LG GS200 also features messaging (SMS, MMS, Email), browser (WAP 2.0/xHTML), radio (FM radio with RDS, FM recording, built-in antenna), games, MP3 (MP3/WAV/eAAC+ player), MP4 (MP4/H.264 player) and java app. It has a Standard Li-Ion 1100 mAh battery with the talk time duration of up to 6 h 30 min, Standby duration of up to 550 h, and Music Play time of up to 14h. Tags:-LG new Handset in India, LG GS200 price,LG cheap handset in India, LG low priced mobile phone price, LG low priced handset in india price, LG low priced mobilein india price, LG GS200 specifications, LG GS200 price details, LG GS200 launch details, LG GS200 india availability, LG GS200 specifications. 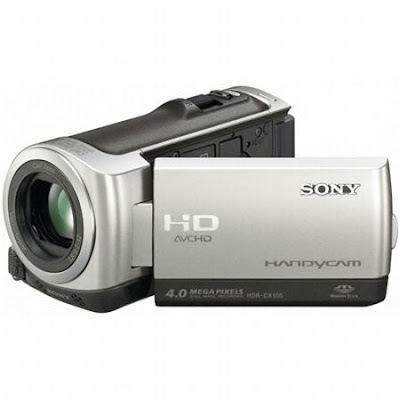 Sony recently introduced a new High Defination Handycam Camcorder named ony HDRCX105ES Handycam in market with lot of features.The new Sony HDRCX105ES High Defination Handycam Camcorder comes with an internal memory of 8GB which enables to records up to 3 hours of HD video.The camcoder comes in a silver color with a stylish design. The New Sony HDRCX105ES High Defination Handycam Camcorder features Exmor CMOS sensor which get better picture quality with a 2x boost in sensitivity,huge screen Framing and playback,superior resolution and augmented contrasts of the Clear Photo LCD Plus screen,Picture Motion Browser(PMB).The new New Sony HDRCX105ES High Defination Handycam Camcorder comes with a price tag of £320.99. Tags:-New Sony High Defination Handycam Camcorder, New Sony High Defination Handycam Camcorder features, New Sony High Defination Handycam Camcorder specs, New Sony High Defination Handycam Camcorder specifications, New Sony High Defination Handycam Camcorder details, New Sony High Defination Handycam Camcorder price, New Sony High Defination Handycam Camcorder price details, New Sony High Defination Handycam Camcorder availability. 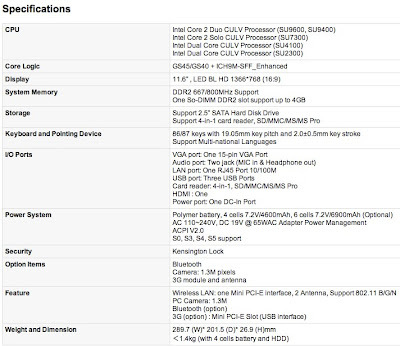 Asus X77 Core i5 notebook Specification, Price, Features. Asus on its way t o introduce a new ASUS laptop with Core i5 ,named ASUS X77.The new Asus X77 notebook i equipped with 17.3-inch display with resolution 1600×900 pixels and LED backlight. 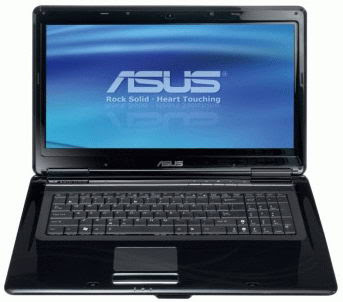 Asus X77 notebook is powered by an Intel Core i5-430M, referring to the Arrandale family. This chip is integrated graphics core and it will be made on 32nm technology and operate at a clock frequency of 2.26 MHz. Turbo Mode technology enables accelerate to 2.53 GHz of processor. The Asus X77 laptop also comes housed with discrete ATI Mobility Radeon HD 5730 graphics accelerator, up to 4GB of RAM and dual hard drives with 1TB of total capacity,multi-format DVD burner, HDMI port, and eSATA. The all new Asus X77 comes pre-installed with Windows 7 Home Premium OS. Asus X77 laptop is expected to hit market by next month with an estimated price of 1000 EURO. Tags:-Asus X77 notebook Features, Asus X77 notebook details, Asus X77 notebook availability, Asus X77 notebook price, Asus X77 notebook price details, Asus X77 notebook operating system, Core i5 notebooks, Core i5 note books from Asus,Asus X77 Core i5notebook Features+ price+ images. Packard Bell recently update EasyNote series convertible tablet notebook by introducing the all new Butterfly Touch convertible tablet notebook.The new notebook is built on the Intel CULV platform and comes with pre-installed Windows 7 Home Premium OS.Other features comes with the new Butterfly Touch convertible tablet from Packard Bell includes Adobe Photoshop Elements 7 and Microsoft Touch Pack Software.The notebook supports multitouch technology. The new Packard Bell EasyNote Butterfly Touch convertible tablet notebook is equipped with 11.6-inch touchscreen display with a resolution of 1366×768 pixels and is powered by an Intel Core 2 Duo SU 9400 processor.The EasyNote Butterfly Touch notebook also comes housed with GMA 4500MHD video card, 2GB of RAM, 640GB hard drive, Wi-Fi, Bluetooth, 3G, microphone and 5-in-1 card reader. Packard Bell EasyNote Butterfly Touch notebook weighs about 1.6kg and battery of Packard Bell EasyNote Butterfly Touch tablet PC provides a back-up of about 8 hours.The new Packard Bell EasyNote Butterfly Touch convertible tablet notebook will come to sales by February 2010. 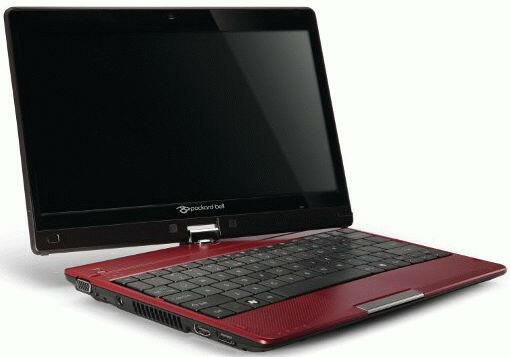 Packard Bell EasyNote Butterfly Touch convertible tablet notebook comes with an expected price tag of 599 EUR. Tags:-Packard Bell notebook, Packard Bell multi-touch notebook,Packard Bell EasyNote Butterfly Touch convertible tablet notebook Features, Packard Bell EasyNote Butterfly Touch convertible tablet notebook specifications, Packard Bell EasyNote Butterfly Touch convertible tablet notebook images, Packard Bell EasyNote Butterfly Touch convertible tablet notebook availability, Packard Bell EasyNote Butterfly Touch convertible tablet notebook launch details, Packard Bell EasyNote Butterfly Touch convertible tablet notebook price, Packard Bell EasyNote Butterfly Touch convertible tablet notebook price details. Acer recently announced the introduction of three new CULV TravelMate Timeline series in US market, named Acer TravelMate Timeline TM8571, TM8471, and TM8371 . It is designed mainly for business customers.New Acer TravelMate Timeline TM8571 equipped with 15.6-inch screen,Acer TravelMate Timeline TM8471 equipped with 14.1-inch screen and Acer TravelMate Timeline TM8371 equipped with 13.3-inch screen. New Acer TravelMate Timeline TM8571, TM8471, and TM8371 are powered with Intel Core 2 Duo SU9400 (1.4GHz) or SU7300 (1.3GHz), integrated Intel GMA 4500MHD video card, 3GB to 4GB of RAM, a 250GB or 230GB hard drive and features touchpad with gestures support and fingerprint scanner.The TravelMate Timeline noteboks also includes built-in webcam, a 5-in-1 card reader, Wi-Fi 802.11a/b/g/Draft-N, Bluetooth, Ethernet, and an HDMI port to output movie to an external high-resolution display. All TravelMate Timeline notebooks housed with 6-cell battery capable of providing battery life up to 8 hours. 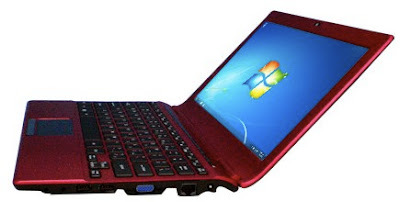 The notebooks runs on Windows 7 Professional 32bit or Windows XP Professional. The Acer TravelMate Timeline TM8571, TM8471, and TM8371 notebooks comes with a price tag in the range from $900 to $1000 and depend on the configuration. Tags:-Acer TravelMate Timeline TM8571, TM8471, and TM8371 business notebooks, Acer TravelMate Timeline TM8571, TM8471, and TM8371 business notebooks price, Acer TravelMate Timeline TM8571, TM8471, and TM8371 business notebooks features, Acer TravelMate Timeline TM8571, TM8471, and TM8371 business notebooks availability, Acer TravelMate Timeline TM8571, TM8471, and TM8371 business notebooks details, Acer TravelMate Timeline TM8571, TM8471, and TM8371 business notebooks price details. Mobile TeleSystems (MTS) recently announced that they start sale in their stores the new Nokia X3 music Edition phone.Nokia also provides an offer to their Nokia X3 users that they can freely downloading an unlimited number of tracks from a Music Ovi library web service during this year. Nokia X3 Music Phone comes equipped with 2.2-inch display with a resolution of 240×320 pixels and also houses 64 MB memory, slot for MicroSD card to expand memory up to 16GB, 3.2 megapixel camera, Bluetooth 2.0, USB port, FM tuner, media player, and voice recorder.The new Nokia X3 Music Phone also supports networks in GSM/GPRS/EDGE 900/1800/1900 MHz. Nokia X3 housed with 860mAh Lithium-ion battery that allows up to 300 hours of standby time and up to 4 hours of talk time.Nokia X3 phone weighs 103g and has dimensions 49×96x14 mm.The Nokia X3 comes included with a headset and 2GB memory card.Nokia X3 phone available through MTS stores with a price tag of 8900 rubles. Tags:-Nokia X3 Music Phone , Nokia X3 Music Phone Features, Nokia X3 Music Phone price, Nokia X3 Music Phone price details, Nokia X3 Music Phone availability, Nokia X3 Music Phone introduction, Nokia X3 Music Phone specifications, Nokia X3 Music Phone images. 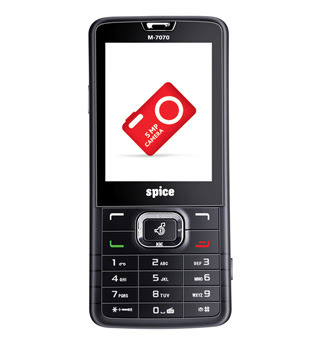 Spice Mobiles introduced a new camera-centric dual-sim phone in Indian market, named Spice M-7070.The all new Spice M-7070 comes with dual-sim capability and other excellent features.The new spice handset comes loaded with a 5 megapixel camera. Spice M-7070 mobilr phone equipped with 2.4-inch display screen and features 5 megapixel camera with Anti-Shake and Auto-Focus functionalities and 8x optical zoom,FM recording, up to 16GB expandable memory, Music & Video Player, support for EDGE & JAVA,Dual-sim capability.Spice M-7070 camera has 4 shoot modes including Normal, Best Shot, Continue Shot, and Burst Shot and can record videos with 30 fps video recording ability. The Spice M-7070 comes with a price tag of Rs. 7999 (MRP) in India. Tags:- new Spice mobile phone, new Spice mobile phone in india price, new Spice mobile phone price details, new Spice mobile phone with dual sim capability, new Spice mobile phone with 5 megapixel camera in india, 5 megapixel camera phone from Spice Mobiles, 5 megapixel camera phone from Spice Mobiles india price, 5 megapixel camera phone from Spice Mobiles price details, 5 megapixel camera phone from Spice Mobiles launch in india, Spice M-7070 dual-sim phone 5 megapixel camera phone, Spice M-7070 dual-sim phone 5 megapixel camera phone features, Spice M-7070 dual-sim phone 5 megapixel camera phone specifiations, Spice M-7070 dual-sim phone 5 megapixel camera phone details, Spice M-7070 dual-sim phone 5 megapixel camera phone india price. 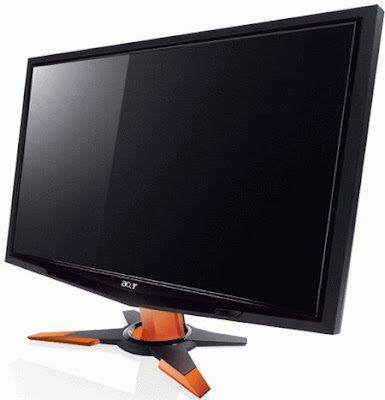 Acer on its way to present its new Acer GD245HQ monitor with built-in 3D technology at the CES 2010 next month.The new 3D LCD monitor from Acer is equipped with 23.6 -inch screen with Full HD resolution (1920×1080 pixel). The new Acer GD245HQ 3D LCD monitor features TN panel, a 120Hz refresh rate, a 2ms response time, an 80000:1 dynamic contrast ratio, and a 300 cd/m2 brightness.The 3D LCD Monitor have connection ports for D-Sub, DVI and HDMI.Acer GD245HQ 3D LCD monitor comes with a price tag of £300. Tags:-Acer 3D LCD monitor, Acer 3D LCD monitor features, Acer 3D LCD monitor specs, Acer 3D LCD monitor specifications, Acer 3D LCD monitor details, Acer 3D LCD monitor review, Acer 3D LCD monitor price, Acer 3D LCD monitor price details, Acer 3D LCD monitor availability, Acer GD245HQ 3D LCD monitor details, Acer GD245HQ 3D LCD monitor price, Acer GD245HQ 3D LCD monitor price details. 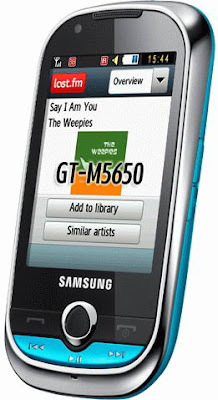 Samsung has officially announced the introduction of their new mobile phone, named Samsung M5650 Lindy. The new Samsung M5650 Lindy handset resembles their Samsung S3650 Corby. New Samsung M5650 Lindy is equipped with a 2.8-inch resistive touchscreen display with a resolution of 320×240 pixels and also fetures TouchWIZ interface with support for Cartoon UI (cartoon theme).The new Samsung M5650 Lindy also houses 70 MB internal memory, a slot for microSD card with up to 16GB, FM tuner, 3 megapixel camera,also included an additional front camera for video calls, Bluetooth version 2.0, Wi-Fi 802.11b/g, and dedicated music player control keys on the front panel. Samsung M5650 Lindy comes with two interchangeable rear panel (battery covers) in blue and black. New Samsung M5650 Lindy is supports networks GSM/GPRS/EDGE 850/900/1800/1900 MHz and UMTS/HSDPA 900/2100 MHz. The all new Samsung M5650 Lindy phone comes with a price tag of 149 Euros (about $215).The phone was now available only in Portugal and expected to be available soon in other European and Asian market. Tags:-Samsung M5650 Lindy hand set Features, Samsung M5650 Lindy mobile phone availability, Samsung M5650 Lindy mobile phone price, Samsung M5650 Lindy mobile phone price details, Samsung M5650 Lindy mobile phone launch , Samsung M5650 Lindy mobile phone specification, Samsung M5650 Lindy mobile phone availability, Samsung M5650 Lindy mobile phone images, Samsung Lindy phone. Samsung recently introduced a cheaper version of the Samsung S3650 Corby phone, named Samsung Corby Pop phone.The new Samsung Corby Pop phone comes in a variety of colors and a lot of features. The all new Samsung Corby Pop phone is equipped with 2.8-inch QVGA touch screen with a resolution of 240×320 pixels.Other features includes 1.3MP camera (instead of 2MP), 22MB of integrated memory, FM radio, touch screen.Th phone also includes number of applications for easy access to popular social networking sites and entertaining Internet services. Samsung Corby Pop phone includes 960 mAh battery capable of providing a battery life of 8 hours of talk time.The expected price of the new Samsung Corby Pop phone in India was about 7000 rupees ($150). 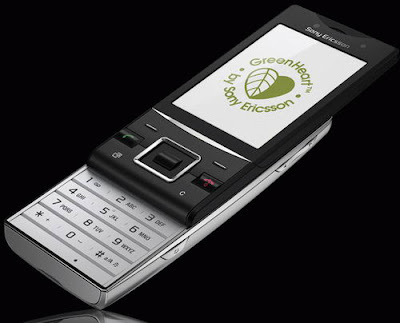 Sony Ericsson recently announced the introduction of their new eco-friendly phone named Sony Ericsson Hazel,which was named before under code name Sunny.The new Sony Ericsson Hazel (Sunny) is refers to the eco friendly lineup, GreenHeart.For that at least half of cabinet panel composed of recycled plastic and does not contain harmful chemicals.The new eco-friendly phone from Sony Ericsson delivered pre-loaded with electronic version of the user guide and don't comes with printed manual. Sony Ericsson Hazel(Sunny) comes equipped with 2.6-inch TFT display with a resolution of 320×240 pixels and is made of slider form factor.The new eco-friendly Sony Ericsson features 5 megapixel camera with autofocus, flash and support geotagging, GPS receiver with A-GPS, FM tuner with RDS, 280MB of integrated memory, a slot for microSD card, Bluetooth and Wi-Fi.The handset also supports networks such as GSM/GPRS/EDGE 850/900/1800/1900 MHz and UMTS/HSPA 2100/900 MHz. 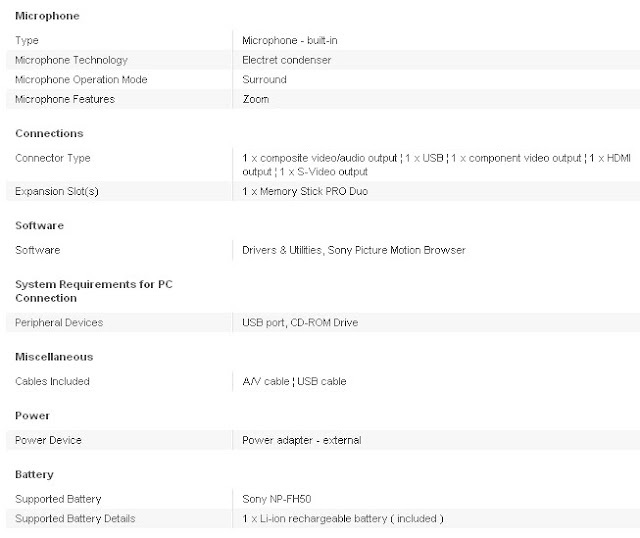 New Sony Ericsson Hazel weighs 120g and has dimensions 102.5×49.5×16 mm.The Sony Ericsson Hazel eco-friendly phone will be available for sale during the second quarter of 2010.The price details will be revealed later. Tags:-Sony Ericsson Hazel features, Sony Ericsson Hazel prive details, Sony Ericsson Hazel colors, Sony Ericsson Hazel launch details, Sony Ericsson Hazel availability, Sony Ericsson Hazel specs, Sony Ericsson Hazel specifications, Sony Ericsson eco-friendly phone, Sony Ericsson eco-friendly phone features, Sony Ericsson eco-friendly phone specifications, Sony Ericsson eco-friendly phone price, Sony Ericsson eco-friendly phone launch details,Sony Ericsson Hazel(Sunny) phone details. Seagate Technology recently introduce the slimmest,ultra-thin hard drive, named Momentus Thin.The hard drive has a thickness of just 2.5-inch.The hard-disk is intented for portable computers.For comparison: the modern hard drive with the same diameter disc is available in versions 9.5 thick and 12.5 mm.The Seagate Momentus Thin is enclosed in a shell with a thickness not more than 7 mm. 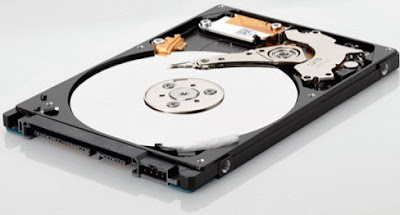 The new Seagate Momentus Thin 2.5-inch hard drive is connected to the PC through the SATA II.The hard drive has a specification of 5400 rpm and an 8MB buffer cache.The Seagate Momentus Thin ultra thin hard drives will be available in capacity of 160GB and 250GB.Seagate Momentus Thin hard drive will be unveiling at CES on January 2010. Tags:-Seagate ,Seagate ultra-thin hard drive, Seagate ultra-thin hard drive features, Seagate ultra-thin hard drive availability, Seagate ultra-thin hard drive features, Seagate ultra-thin hard drive specs, Seagate ultra-thin hard drive specifications, Seagate ultra-thin hard drive available capacities,Seagate Momentus Thin hard drive,Seagate Momentus Thin hard drive launch date, Seagate Momentus Thin hard drive details, Seagate Momentus Thin hard drive availability. 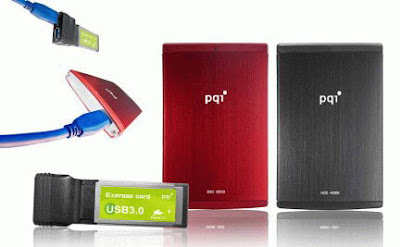 Hardware manufacturer PQI, has officially announced the introduction of USB3.0 portable storage devices and that includes a H566 external hard drive (HDD) and a S533 solid state drive (SSD). The PQI H566 External Hard Drive with USB3.0 technology comes in 2.5-inch form factor.The new high speed external Harddisk comes with 8MB of cache and operates at a speed of 5400rpm. PQI H566 Portable HDD is available in capacity of 320GB/500GB/640GB. Performance of PQI H566 External HDD with USB3.0 connectivity provides a read speed of 105MB/s and a write speed of 99.9MB/s. The PQI S533 SSD is also comes in a similar form factor of 2.5-inch and can be connected via USB 3.0 connectivity. PQI S533 Solid State Drive is available in capacities of 80GB and 160GB. 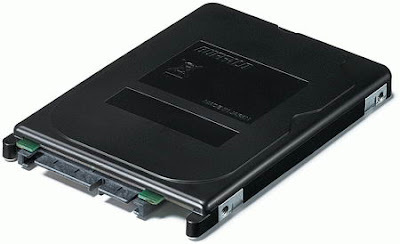 The SSD drive comes with a speed rate of up to 198MB/s for write speed and 274 MB/s in read speed. PQI S533 is runs 6 faster than similar drives with USB 2.0 interface. Apart from the USB 3.0 H566 external HDD and S533 SSD PQI also presented a varite of USB3.0 hardwares including PCIe add-on card, Express Card, which has the two slots and USB 3.0 Technology. Tags:-USB 3.0 devices, USB 3.0 technology, USB 3.0 harddrives, USB 3.0 harddrive reed and write speed, USB 3.0 hard drive availability, USB 3.0 SSD drive, USB 3.0 SSD Drive speed, USB 3.0 SSD drive manufacturer, USB 3.0 devices details, USB 3.0 add-on card,USB 3.0 Express Card,PQI USB 3.0 H566 external HDD, PQI USB 3.0 H566 external HDD Features, PQI USB 3.0 H566 external HDD availability, PQI USB 3.0 H566 external HDD features,PQI USB 3.0 S533 SSD Features, PQI USB 3.0 S533 SSD details, PQI USB 3.0 S533 SSD Specifications. 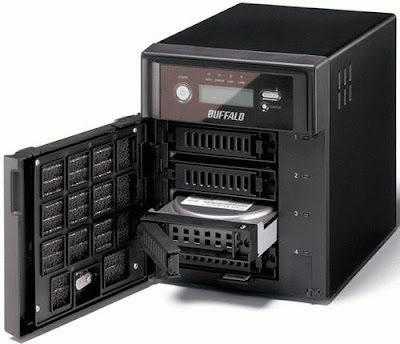 Buffalo recently added a new NAS device to their TeraStation series, named Buffalo TeraStation TS-XEL/R5 NAS.The new TeraStation TS-XEL/R5 NAS supports and enhances the capabilities of hot-swappable ie it can replace the HDD when the machine still runs.The new Buffalo TeraStation TS-XEL/R5 supports up to four SATA hard drives in RAID 0, RAID 5, RAID 5 or 10 modes. Buffalo TeraStation TS-XEL/R5 features supports Apple Time Machine and Active Directory integration,two USB 2.0 ports and dual Gigabit Ethernet.The TeraStation TS-XEL/R5 is available in 2TB, 4TB, and 6TB models.The device will be available by end of this month in Japan market. Tags:-Buffalo TeraStation TS-XEL/R5, Buffalo TeraStation TS-XEL/R5 availability, Buffalo TeraStation TS-XEL/R5 price , Buffalo TeraStation TS-XEL/R5 price details. Fly recently announced the introduction of their latest dual SIM mobile phone in Russian market.The handset is named as Fly MC170 DS.The new Fly MC170 DS phone has a monoblock form factor and has slots for two SIM cards and supports networks of two cellular operators simultaneously. The new Fly MC170 DS phone comes equipped with 2.4-inch TFT display with a resolution of 320×240 pixels and features 3.2 megapixel camera with video recording, media player (formats MP3, AAC, AMR, WAV, MIDI, MP4, 3GP and AVI), 17 MB of built memory, a slot for microSDHC card expand the memory up to 16GB, FM receiver with recording capability, Bluetooth version 2.0 and 3.5mm audio connector. Fly MC170 DS mobile phone weighs 105g and has dimensions 115×51x11 mm.The new Fly MC170 DS mobile handset will be available from end of this month with a price tag of 4590 Russian rubles. Tags:-Fly MC170 DS mobile phone, Fly MC170 DS mobile phone features, Fly MC170 DS mobile phone specs, Fly MC170 DS mobile phone availability, Fly MC170 DS mobile phone launch, Fly MC170 DS mobile phone price, Fly MC170 DS mobile phone price details,Fly new mobile phones, Fly new dual sim handsets, Fly new dual sim handset features. Samsung has officially announced the introduction of their new mobile phone, named Samsung M5650 Lindy.The new Samsung M5650 Lindy resembles much to Samsung S3650 Corby.As in the case of Corby the new handset also comes with two interchangeable rear panel (battery covers) in blue and black. New Samsung M5650 Lindy comes equipped with a 2.8-inch resistive touchscreen display with a resolution of 320×240 pixels, TouchWIZ interface with support for Cartoon UI (cartoon theme), 70 MB internal memory, a slot for microSD card with up to 16GB, FM tuner, 3 megapixel camera, an additional front camera for video calls, Bluetooth version 2.0, Wi-Fi 802.11b/g, and dedicated music player control keys on the front panel. 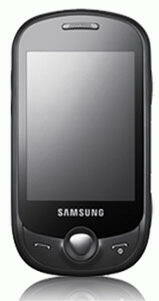 Samsung M5650 Lindy supports networks includes GSM/GPRS/EDGE 850/900/1800/1900 MHz and UMTS/HSDPA 900/2100 MHz. Samsung M5650 Lindy phone now available in Portugal with a price tag of 149 Euros($215).The company announced that the new Samsung M5650 Lindy will be soon made available in Asian other European markets. Tags:-Samsung M5650 Lindy availability, Samsung M5650 Lindy features, Samsung M5650 Lindy specs, Samsung M5650 Lindy pics, Samsung M5650 Lindy price, Samsung M5650 Lindy price details, Samsung M5650 Lindy price in dollars, Samsung M5650 Lindy price in euro, Samsung M5650 Lindy availability in asia, Samsung M5650 Lindy launch details,Samsung M5650 Lindy details. Fujitsu recently introduce the First Splitable SmartPhone named Fujitsu F-04B.The New Splitable SmartPhone from Fujitsu is expected to hit market on March-April next year in Japan.The price details will revealed later. Fujitsu F-04B comes with sliding QWERTY form factor. Fujitsu F-04B can be devided into two pieces one part features a 3.4-inch touchscreen with resolution of 480×960 pixels, and most of the electronics and the second part is QWERTY-keyboard and a slide-out device with numeric keypad. 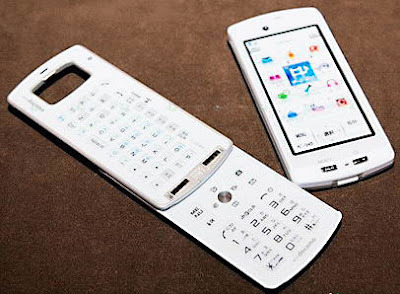 The main feature of Fujitsu F-04B Splitable SmartPhone is that the user is able to make separate calls using the divided pieces, as each has a built-in speaker and microphone.No information is revealed about the need of separate gsm cards for the two separated cell phones.The handset also has a wireless Bluetooth ranging 10 meters. The new handset features 12.2 megapixel camera,connector for a Felica smart card, allows the device to act as an electronic purse payment and railway ticketing, shopping in supermarkets and vending machines.The new Splitable handset supports GPS and HSDPA. Fujitsu F-04B provides a standby of about 600 hours and a talk time of 330 minutes. The New Fujitsu F-04B Splitable SmartPhone weighs just 173g and has dimensions 11.4×5.1×20.4 cm.The new phone will be available in market by March-April next year and no word about pricing has revealed yet.. Tags:-First Splitable SmartPhone, First Splitable SmartPhone featues, First Splitable SmartPhone images, First Splitable SmartPhone details, First Splitable SmartPhone launch details, First Splitable SmartPhone specs, First Splitable SmartPhone specifications,Fujitsu First Splitable SmartPhone,Fujitsu First Splitable SmartPhone details, Fujitsu First Splitable SmartPhone price, Fujitsu First Splitable SmartPhone specs, Fujitsu First Splitable SmartPhone specifications, Fujitsu First Splitable SmartPhone details,Fujitsu F-04B Splitable SmartPhone featues, Fujitsu F-04B Splitable SmartPhone details, Fujitsu F-04B Splitable SmartPhone preview, Fujitsu F-04B Splitable SmartPhone stills, Fujitsu F-04B Splitable SmartPhone launch details. Panasonic has recently introduced their latest notebook in Japanese market, named Panasonic Let’s note LIGHT R8W notebook.The notebook comes preloaded with either Windows Vista Business with Service Pack 1 (CF-R8WW1AJR) or Windows 7 Professional OS (CF-R8WW1ADR).The user could select the notebook according to the OS they preferred.The Let’s note LIGHT R8W notebook looks so cool,stylish and has variety of features that makes it best for both personal and professional use. New Panasonic Let’s note LIGHT R8W is equipped with a 10.4-inch LCD display with a resolution of 1024×768 pixel (XGA) and comes housed with features such as powered by a 1.40GHz Intel Core 2 Solo SU3500 Ultra Low Voltage processor,Intel GS45 Express chipset (integrated video),2GB of RAM (up to 4GB), a 160GB HDD,2x USB 2.0 ports, Gigabit Ethernet, 802.11a/b/g/n Wi-Fi, SD card slot, and D-Sub. 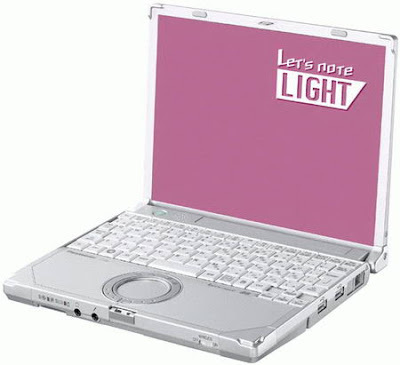 The all new Panasonic Let’s note LIGHT R8W notebook weighs 940g easy to take anywhere with the user in traveling.The notebooks dimensions are 229×187x29.4~42.5 mm (WxDxH).Panasonic Let’s note LIGHT R8W notebook comes with a price tag of 119,800 yen in Japaneese market. Tags:- Panasonic Let’s note LIGHT R8W notebook,Panasonic Let’s note LIGHT R8W notebook features, Panasonic Let’s note LIGHT R8W notebook availability, Panasonic Let’s note LIGHT R8W notebook launch details, Panasonic Let’s note LIGHT R8W notebook details, Panasonic Let’s note LIGHT R8W notebook specifications, Panasonic Let’s note LIGHT R8W notebook price, Panasonic Let’s note LIGHT R8W notebook price details,Panasonic Let’s note LIGHT R8W notebook images. Dell recently introduced a new notebook powered by their new Core i7-processor in Japan market, named Dell Precision M6500.The new Dell Precision M6500 features fingerprint sensor for security and supports Adobe RGB for RGB-LED panel. The new Dell Precision M6500 is equipped with a a 17-inch widescreen TFT LCD display with 1920×1200 pixel (WUXGA) resolution and is powered by Intel Core i7-920XM quad-core Extreme Edition processor.Dell Precision M6500 Features supports up to 16GB 1,333 MHz DDR3 memory and comes pre-loaded with Windows 7 Operating system. Dell Precision M6500 notebook standard configuration included with an Intel Core i7 720QM (1.60GHz) CPU, 2GB RAM, 160GB SATA HDD, ATI FirePro M7740 GPU with 1GB VRAM, and DVD drive. 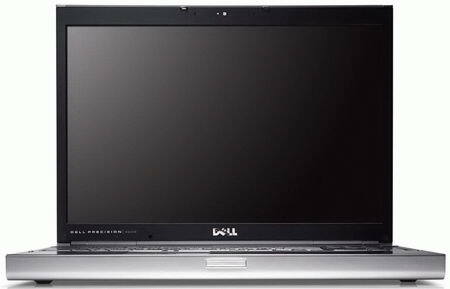 The Dell Precision M6500 notebook is a 17-inch widescreen TFT LCD display with a resolution of 1440×900 pixel (WXGA+), four USB 2.0 port, IEEE 1394, DisplayPort, D-Sub, ExpressCard/54 slot, 8-in-1 card reader, and Ethernet card. It is equipped with 9-cell battery and Windows XP Professional. Dell Precision M6500 Core i7 notebook weighs 3.86kg and has dimensions 393×280.5×34.5~38.5mm (WxDxH).The new Dell Precision M6500 comes with a price tag of 271,950 yen. Tags:-Dell Precision M6500 new Core i7 notebook specifications, Dell Precision M6500 new Core i7 notebook details, Dell Precision M6500 new Core i7 notebook configuration, Dell Precision M6500 new Core i7 notebook price, Dell Precision M6500 new Core i7 notebook availability, Dell Precision M6500 new Core i7 notebook launch details, Dell Precision M6500 new Core i7 notebook price details, Dell Precision M6500 new Core i7 notebook images. Taiwan-based handsetmaker HTC launched a new Windows-based handset, named HTC HD2 in Indian market.The stylish looking phone comes with a variety of features.The HTC HD2 is the company’s first Windows phone to pack HTC Sense user interface which makes the device more intuitive.HTC HD2 is also the first phone to offer touch display on a Windows platform. HTC HD2 is equipped with a 4.3-inch display with a WVGA resolution of 480 X 800.The new HTC HD2 also houses Qualcomm Snapdragon processor that runs at 1 GHz,512 MB ROM,448MB of RAM,5-megapixel camera with auto focus and dual LED flash,3G,3.5mm jack.The new handset from HTC runs on Windows Mobile 6.5. 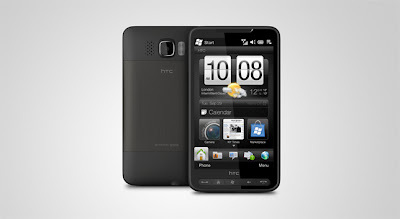 The new HTC HD2 features multitouch capability which helps viewing, zooming, resizing websites, Microsoft Office files, PD documents and pictures more easier.HTC HD2 now started sales in India with a price tag of Rs 36,990. 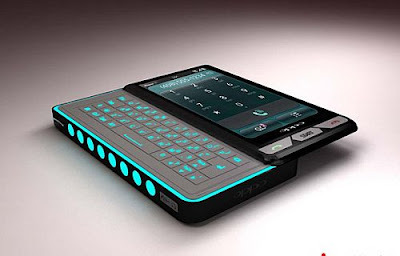 Tags:-HTC HD2, HTC HD2 india launch, HTC HD2 india launch features, HTC HD2 details, HTC new touch + windows mobile for india, HTC new handset in indian market,HTC HD2 handset price in india, HTC HD2 mobile phone price, HTC HD2 mobile phone availability, HTC HD2 mobile phone india launch, HTC HD2 mobile phone features, HTC HD2 mobile phone specifications, HTC HD2 mobile phone detailed review, HTC HD2 mobile phone offers, HTC HD2 mobile phone images, HTC HD2 mobile phone specs. Acer on its way to launch its first notebook equipped with a Mobility Radeon HD 5850 graphics supports DirectX 11 API, called Acer Aspire 8942 (Acer Aspire 8942G-728G1280TWN).The notebook is mend mainly for gamers. New Acer Aspire 8942 gaming laptop is equipped with 18.4-inch display with LED backlit with Full HD resolution of 1980×1080 pixels and features Intel Core i7-720QM processor with a frequency of 1.6 GHz,Mobility Radeon HD 5850 GPU with 1GB GDDR5 memory,8GB of RAM DDR3, two 640GB hard drives, and Blu-ray drive. The new Acer Aspire 8942 laptop also includes four USB 2.0 port, Wi-Fi 802.11a/b/g/n, Bluetooth, slot for ExpressCard, HDMI port, and 5-in-1 card reader.The laptop weigh about 4.6kg and is housed with an 8-cell battery.Recent news reveals that the new Acer Aspire 8942 gaming notebook will be available by early next year.The price details are yet to revealed..
ASUSTeK Computer introduced a new notebook in Japanese Market, named ASUS UL20A (UL20A-2X044VS).The new notebook from ASUS comes with a variety of features and specifications sutable for both professional and personal use. ASUS UL20A comes equipped with 12.1-inch widescreen LCD display with a resolution of 1.366×768 pixel and comes housed with 1.2GHz Intel Celeron SU2300 processor, an Intel GS45 Express (integrated video), 2GB of RAM (up to 4GB), 320GB SATA HDD,card reader (SD/SDHC compatible/Memory Stick/Memory Stick PRO/xD-Picture), 3x USB 2.0 port, Wi-Fi 802.11b/g/n, Ethernet, Bluetooth V2.1+EDR, D-Sub, 0.3MP Web camera, and audio port. The all new ASUS UL20A notebook houses a Lithium-ion battery whish provides up to 7.4 hours of battery life.The notebook weighs 1.56kg and has dimensions 296×210x12.1~25.9mm (WxDxH).ASUS UL20A notebook comes pre-loaded with Windows 7 Home Premium (64bit) and it is bundled with Office Personal 2007 Software.The new ASUS UL20A notebook has price tag of 79,800 yen. 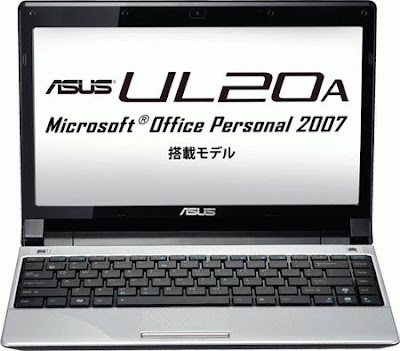 Tags:-ASUS UL20A notebook, ASUS UL20A notebook features, ASUS UL20A notebook details, ASUS UL20A notebook availability, ASUS UL20A notebook launch details, ASUS UL20A notebook price ,ASUS UL20A notebook price details.ASUS UL20A notebook specifications, ASUS UL20A notebook images. Chinese PMP manufacturer,Oppo recently introduce the all new Google Android Smartphone will be available by first half of 2010.The Google Android Smartphone come up with stylish design and excellent features. The all new Google Android Smartphone from Oppo is equipped with 3.5 inc WVGA capacitive touchscreen with a resolution of 800 x 480 and is housed with features such as QWERTY keyboard,WiFi,variety of lights on the wall which are intended to show weather information, as well you can perceive recent temperature, and humidity. Tags:-smartphone, Google Android Smartphone,Google Android Smartphone features, Google Android Smartphone specifications,Google Android Smartphone specs, Google Android Smartphone price, Google Android Smartphone details, Google Android Smartphone screen, Google Android Smartphone features included, Google Android Smartphone images. Motorola on its way to launch new Google Android based handset in China and US market.The mobile phone is named as Motorola XT800 and features CDMA connectivity.The new Motorola XT800 was held under the codename Motorola Zeppelin.Motorola XT800 is expected to have the same screen similar to Motorola Droid. Motorola XT800 is expected to be equipped with a 3.7-inch touchscreen display with a resolution of 854×480 pixels and supports 720p HD resolution via HDMI connector to the external display and it is able to shoot videos in the same resolution through the built-in 5 megapixel camera equipped with autofocus and LED flash.Other features of the new Motorola XT800 includes 3G, GPS receiver, dual SIM cards, and compatible with WAPI (national safety standard for wireless devices). 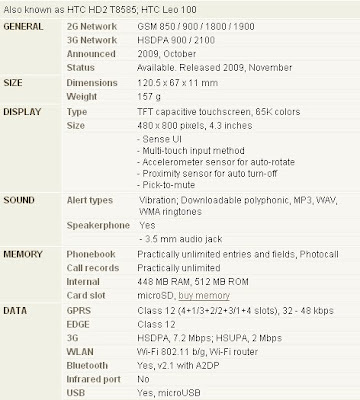 In China the new Motorola XT800 will be available through China Telecom operator, by Christmas and comes with a price tag of $860.In US market the Motorola XT800 will be available under the name of Motorola Titanium and supports EV-DO Rev A networks and is available through Sprint or Verizon operator. Tags:-Motorola XT800 , Motorola XT800 features, Motorola XT800 specifications, Motorola XT800 availability, Motorola XT800 price, Motorola XT800 price details, Motorola XT800 features, Motorola XT800 camera, Motorola XT800 dual sim phone,Motorola dual sim hand set, Motorola dual sim mobile phones, Motorola Titanium launch date, Motorola Titanium details, Motorola Titanium features, Motorola Titanium price ,Motorola Titanium price details. Pioneer Computers Australia recently made available in the markets the new CULV notebook, named DreamBook Light U11 laptop.The notebook from Pioneer Computers Australia comes in excellent design and features which will make it best for both professional and personal use. Pioneer Computers DreamBook Light U11 CULV notebook is ultraportable 11.6-inch notebook which is based on Intel CULV Processor, such as Intel Core 2 Duo (SU9600/SU9400), Intel Core 2 Solo (SU7300), Intel Dual Core (SU4100), Intel Dual Core (SU2300).The notebook is equipped with 11.6-inch LED HD display with resolution of 1366×768 pixels. The all new DreamBook Light U11 CULV notebook from Pioneer Computers comes housed with features includes integrated Intel GS45/GS40 + ICH9M-SFF_Enhanced graphics controller, a maximum of 4GB RAM,2.5-inch SATA HDD, a 4-in-1 card reader (SD/MMC/MS/MS Pro),ethernet, a 1.3-megapixel webcam, Wi-Fi 802.11b/g/n and possible option to install optional Bluetooth and 3G module. DreamBook Light U11 Laptop is equipped with three USB port, HDMI, and D-Sub. Pioneer Computers Australia DreamBook Light U11 CULV notebook weighs 1.4kg including the battery and has dimensions 290×202x27 mm.The DreamBook Light U11 comes with a price tag of AU$699 ($629). Tags:-Pioneer Computers Australia DreamBook Light U11 CULV notebook, Pioneer Computers Australia DreamBook Light U11 CULV notebook details, Pioneer Computers Australia DreamBook Light U11 CULV notebook features, Pioneer Computers Australia DreamBook Light U11 CULV notebook specifications, Pioneer Computers Australia DreamBook Light U11 CULV notebook price details,Pioneer Computers Australia DreamBook Light U11 CULV notebook availability, Pioneer Computers Australia DreamBook Light U11 CULV notebook review, Pioneer Computers Australia DreamBook Light U11 CULV notebook launch details,Pioneer Computers Australia DreamBook Light U11 CULV notebook images.